Win a Hushamok MyDream Seat worth $499! Babies get to a certain age when they begin to want to look around. No longer content with lying flat in the basket, their curiosity blossoms about the three month mark – the very first sign of the insatiable toddlers they will become, thirsty to learn and eager to investigate everything. I remember my first son going through a worrying screaming phase when he was about eleven weeks old. I’d take him out for walks lying flat in his pram only to wonder why he was screaming so much. One day I elevated him a little and the screaming stopped! When the same thing happened with my second baby, I knew what the issue was and immediately propped him up. Hushamok make beautiful hammocks for baby to sleep in and has now released the MyDream Seat, which can be attached to the same curvy aluminium stand used for the hammock. While the hammock continues to offer babies the very best way to sleep, the MyDream Seat is ideal for awake time so baby can sit back, fully-supported and view their new world from a position of comfort and safety. 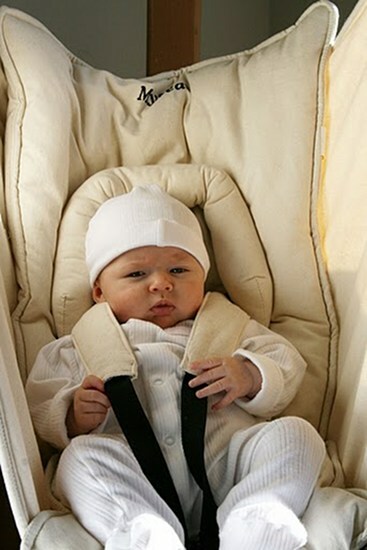 MyDream Seat is made from certified organic cotton and can be used for babies as they become more alert and interactive from about twelve weeks old. 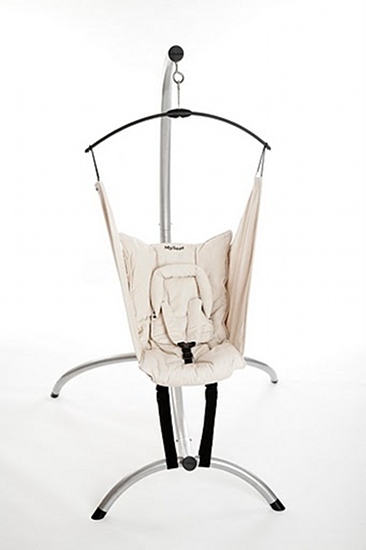 The removable neck support, harness and hideaway tether system make it easy to adapt for older children up to 22kg. Hushamok and Babyology are giving away one gorgeous MyDream Seat complete with aluminium stand valued at $499! To enter, follow the instructions found in the regular ‘Babyology Weekly’ email. If you haven’t subscribed to the mailing list yet, just click here to fill in the form.